– [Narrator] Tonight, we sit down with one man who helped make NPR what it is today. – And so it was a time of figuring out how to use sound and the medium very creatively and mix that with very solid, good reporting. I was totally seduced by the atmosphere at NPR and found myself leaving not in two years, but retiring 41 years later. – [Narrator] Gillian Coldsnow, from Northwest Public Broadcasting, talks with Robert Siegel, legendary and recently-retired host of NPR’s All Things Considered. – Someone said, famously, “History doesn’t repeat itself, it rhymes.” That you never get the same things happening. You get things that are awfully alike, that resemble, that are analogous to things that had in the past. – [Narrator] A Conversation with Robert Siegel. 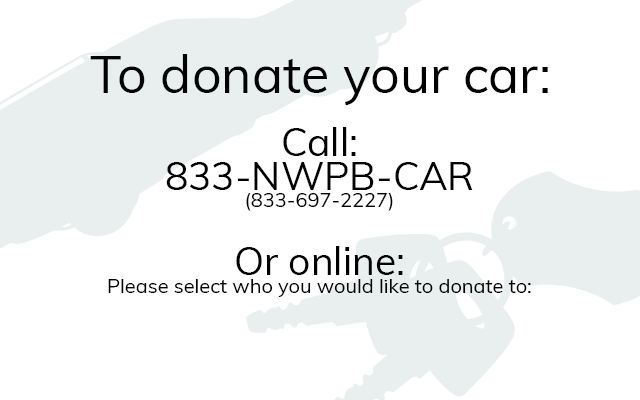 – Hello, I’m Gillian Coldsnow, and this is Northwest Public Broadcasting. 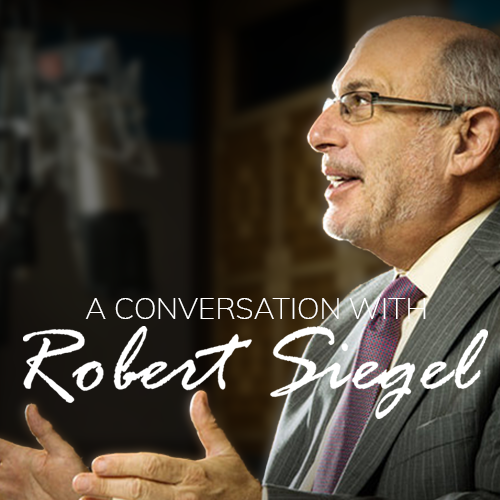 Millions of Americans have listened to Robert Siegel’s clear, calm voice reporting the news thoughtfully on NPR for 40 years. He’s been a newscaster, an editor, a foreign correspondent, and for three decades, the host of All Things Considered. Colleagues speak of his high standards and integrity, and listeners think of him as a trusted friend. And now in addition to many accolades and honors is a lifetime achievement award from the Edward R. Murrow College of Communication at Washington State University. Robert Siegel, welcome. – Thank you very much, Gillian. Nice to be here. – Have you had a chance to relax since retirement? -Yes, I find retirement to be very pleasant, and at least of the first few weeks, I enjoyed living without any deadlines, any assignments, and doing whatever I pleased to do, or my wife pleased me to do on that given day. Now I’m finding my calendar is getting a bit more crowded, so. – Well let’s take you back all the way to the start of your career with NPR. You got there in 1976, when the network was only a few years old, and was figuring out lots of things. How to cover the news, and how to get that to stations, to listeners around the country. What was it like to work in that environment? – Well, it was a wonderful creative environment, very energetic. This was a move for me, the native New Yorker, to Washington, D.C., that I was convinced would be about a two-year detour. And that I would make my way back to civilization within a couple of years, which to me was defined as being in New York City. I was totally seduced by the atmosphere at NPR. And found myself leaving not in two years, but retiring 41 years later. One thing we had going for us was we were part of a media shift. You know, in recent years we’ve thought a lot about the challenges of new media and the digital age, and people finding their news out in other ways, and listening to their news in other ways, but in the 1970s, the shift toward listening to radio on the FM band was underway, and we took advantage of that, and in FM radio, we could use sound that people would hear, actually, unlike AM radio, which was mores staticky. And we could produce stories that used what I like to think of in those days as all the clever techniques that you heard on commercial radio, in the commercials. Not in the programming, and so it was a time of figuring out how to use sound and the medium very creatively, and mix that with very solid, good reporting. We had about 10 reporters, as I recall, and we had one big daily show, All Things Considered, and I would say that those were some of the most absolutely inspiring, fun years of my work life. – And as the editor and then director of news and information, you had to make editorial decisions. What decisions did you make that set NPR apart from other news outlets? – Well, as an editor, I made decisions about which stories we should cover, and when a story was ready to go on the air, or when it wasn’t ready to go on the air. I remember the first week I ever edited, I was filling in for a fellow who was instrumental in bringing me there, Robert Krulwich, now of Radio Lab fame. Robert’s a longtime friend who had wooed me with a scheme he had that I could become and editor and liberate him to stop being one as a result. It was like hiring a civil war replacement for yourself or something, and Robert ultimately went back to the air as a reporter, but his scheme took its first turn when he went on vacation and got me to fill in for him. And I think one of the first stories I edited that week was our Supreme Court correspondent, Nina Totenberg, who reported that the Supreme Court had failed to grant certiorari, that it had declined to take up the appeal of the Watergate convicted felons, meaning that their appeal had fallen, but the chief justice was not reporting out that result. It was a remarkable story from inside the inner workings of the Supreme Court. It was a piece of fantastic reporting by Nina, and I knew her, how this had come about. We broke big news. Nina’s story was on the front page of the New York Times, and she was then pilloried, as a young woman reporter, for what was supposedly her relationships with a Supreme Court justice. Which was a lot of nonsense, but we had attacks on her in big newspapers and columns, so I had a taste there of, first, terrific reporting. I mean, this was a case of, if you approach every story, even though it promises to be a story of B+ importance, but if you go after every story as if it could be a hugely important story, things will happen. She went after what should have been a routine matter of the Court announcing that it had refused to take up the appeals of John Mitchell and H.R. Haldeman, these are famous Nixon administration people. They didn’t, and when they didn’t, she knew something had happened. And then we also learned that you can do stories that really get you, you get into a fight with people in public. People will attack journalists, as they attacked her, so it was quite an education, both in good reporting and the perils of good reporting. – And you mentioned the creative use of sound. – And I think NPR has always been, has always liked to let the sound be part of the story, to help tell the story. – Yes. We would hear, it was a common refrain, don’t tell me what people are saying. Let me hear the people say it. Stop telling me what it sounds like. Let me hear what it sounds like. – And other networks were not doing that at the time? – Well, as I say, commercial radio I thought had pretty well abdicated any creativity in journalism, and they were working in such short forms for news that it would hardly make any sense. I think the best of television was much more conscious of using its medium than radio was at that time. We were beneficiaries of a very peculiar thing that had happened, which was that radio was still being listened to by 98% of Americans, every day, I mean for hours, but the big companies that owned the big radio operations also owned television operations, and they had seen the future in television, and shifted resources into television, and so radio was a kind of abandoned stepchild of these broadcasting companies. It made some money. It had listenership, but it wasn’t where they put their energies, and furthermore, I count as a great, monumental moment in the history of NPR when the Beatles album Sgt. Pepper’s Lonely Hearts Club Band came out in 1967, I believe. Suddenly, there was an amazingly popular recording that could actually be appreciated, with high fidelity, and maybe even stereo, that you wanted to hear it on a better signal than AM radio, and so there really began and accelerated a shift toward listening to the kind of radio stations that we were on, and to stations where sound made a difference. – When Donald Trump declared his candidacy. – [Robert] I knew we’d get to him. – This is just an aside, though. – [Robert] Yeah, yeah, yeah. – Most news outlets approached it from the celebrity angle, and didn’t examine his platform with the seriousness and the investigative resources normally devoted to presidential candidates. How can journalists avoid this situation in the future? That is, when should they pay attention to a story that doesn’t seem to have legs? – It’s a very good question. And I will give you my history on this, which is that on November 8th, whatever it was, 2016, I was quite surprised by the outcome of the presidential election, but throughout the spring of 2016 and the summer of 2015 before that, I was not surprised by Donald Trump’s winning the Republican nomination. I mean, the election result, I thought Clinton was going to win, but Trump, from the time he started out, I thought was a serious, very serious contender, and found myself sometimes arguing with our political editors that we weren’t taking him seriously enough, because he was so completely out of the box of all experience that I think there was an instinctive reaction to belittle his presence. To me, he announced with his very anti immigrant program just as a young woman had been shot in San Francisco, evidently by a man who was here as an immigrant, unauthorized, and had found a gun, and he had mental health problems, and Kate Steinle was her name. And there was great anxiety at that very moment, and this guy was feeding off the headlines of that story, Donald Trump was. I listened to him, and I thought that he put together two areas of concern, trade agreements and immigration, which many people connected to challenges to their jobs in this country. Trade agreements permitted companies to go overseas and take jobs with them, and immigration permitted more and more people to come into the country and get jobs here, some would say jobs that native-born Americans didn’t wanna do, but we don’t know what would happen if there were, say, five, six million fewer people working, and Trump rather artfully found these two soft spots, which a lot of Americans felt very insecure about, and he hammered away, and he demonstrated to us that all of those perfectly-posed pictures of political candidates’ families, nuclear families, and marriages that had lasted forever, that a lot of Americans really didn’t care less about that, you know, could care less about that. That you could elect somebody who was on his third marriage, and had a personal history that we’re only seeing reported more extensively these days, and just like the more intellectual voters who would say, I don’t care about whether the president goes to church, and whether he’s been married for the 30 years, a lot of Americans don’t care about whether, it turns out, where the president goes to church, so Trump was cutting through a lot of, to use a word he’d feel comfortable with, fakery in our politics and connecting with people, and as the writer P.J. O’Rourke pointed out to me in an interview we did, he wasn’t just this hotel builder or golf course developer. He’d been the star of this NBC TV show, and was very familiar to lots of people, a show on which, P.J. explained to me, he was a fount of interesting wisdom about managing your business, perhaps much more wise that he was in his own business, actually. But this guy was a creation of mass media, and so he won, and I think the lessons to journalists should be first, political science is a very odd term. Politics doesn’t follow laws the way physics governs particles and the like. It’s very often people reciting precedents and what happened before, and since this has been the case with every president until now, it seems most likely it’ll be the case with this new president, and there’s no logic to that at all. I mean, there are some facts about institutional political life in America that are very important, but we have to be open enough to notice when the old habits, or the old experiences aren’t playing out this time. And that was true when the first president of my time in Washington came to office, Jimmy Carter, who was very different from other candidates, and as a result was hard for a lot of seasoned journalists to take him seriously, and it was certainly true of Trump. – You have been witness to many historic moments. How do you see history repeating itself? – Well didn’t? Someone said, famously, history doesn’t repeat itself. It rhymes. That you never get the same things happening. You get things that are awfully alike, that resemble, that are analogous to the things that had in the past. And at one time when I thought that Trump was going to lose the presidency, I was concerned about what I called my theory of the first time is farce, the second time is tragedy. I’m reversing a famous formula, that there was something odd and clownish about the way that Trump carried on as a candidate, but maybe he was tapping into something deeper that could produce an even uglier, more nasty kind of politics. In fact he’s been elected, and he’s turned into a much more conservative president than I think he seemed to be when he was seeking the Republican nomination. He has abandoned the Republican party’s longtime commitment to free trade, without there seeming to be any clear order that he would substitute with. So how do I see history repeating? I’m leaning more in, I mean, I think history may repeat itself in the fact that American institutions, including those of government, are rather strong, and when under threat, they tend to win. If you live in Washington, or I lived outside Washington for many years, you know that the Congress is there forever. And the civil service is there forever, and the press corps is there forever. Presidents and the entourages come and go. And so some people call that the deep state. I call it government. So it’ll still be there. – Speaking of history repeating itself, even though the Trump White House has created a very dysfunctional and antagonistic relationship with the media, this is certainly not the first time a president has attacked the media. Nixon, for one. – Well, I mean I, this I come by second hand. I mean I was up in New York at a radio station during the Nixon years, but I became a friend and colleague and brought to NPR a man named Daniel Schorr, who had been a famous CBS correspondent, and had been the White House correspondent during the Nixon administration, and a very tough reporter on Nixon, and did a lot of stories that challenged what Nixon was doing, leading Nixon ultimately to put him on his enemies list. There was a list of people who were to be in some way gotten. At one point, Dan was subjected to an FBI investigation. Dan’s neighbors and friends began getting calls, and I think a knock on the door from FBI people, investigating Daniel Schorr. And when this was disclosed, the White House backed down and said that what had happened was Mr. Schorr has been under consideration for a position in the administration. And that was the reason for the inquiry. I would say two things about this. First, what they did alone to Dan, and if you go see the movie about the Post, what they were threatening the Washington Post with over the Pentagon Papers, that was actually tougher, I think, than anything Trump has actually done. It wasn’t accompanied with the constant insult and this very uncivil rhetoric of Donald Trump’s, but in terms of actions, I think Nixon, in his day, he did a lot worse. The second thing I’d say is that years later, Dan, who was a happy warrior. He later had faced congressional contempt of congress charges for leaking a house intelligence committee report, and was a really, I thought, a terrific reporter, and a guy whom I not only liked and enjoyed, but I admired a great deal, and Dan ultimately, like the deep state that I was talking about, hung around Washington a lot longer than Richard Nixon did. And sometime in the late 90s, Nixon came back to town at some reception and Dad was invited to it, and Dan sort of reintroduced himself to Richard Nixon, the then somewhat rehabilitated, previously disgraced, resigned president, whom he had covered and he’d been on the enemies list, and Dad said something to the effect of, “Mr. President, Danial Schorr,” and Nixon said, “Dan Schorr, “damn near hired you once.” And Dan laughed at that too. He found it funny. So, the story ended well. – So given that history rhymes with itself, do you see any parallels between the protest movements of the 60s and 70s with the marches going on today? Such as the Women’s March and the students’ so-called March for our Lives? – My instinct would be to say, no, although I’m at home, and my wife looks at the television and says, “Ah, this reminds me exactly of the 1960s, “of going to march,” so clearly there’s a lot of resonance for people who recall the 60s. For me, I wanna say that 1968, which was a critical year for me getting involved in journalism, and deciding that I wanted to do this, was in many ways a much scarier and divided time than this to me. There was, you know today we have a war we’ve been involved with for 15 years in Afghanistan. A couple of thousand people are there. We were in the thick of a much, much larger war that was failing and dividing the country at that time. We had riots in American cities routinely in the summers of the late 60s. We had breakdowns of, cultural differences over everything from sexuality and drugs, and I had classmates who went from protesting against the war to becoming the Weather Underground, to becoming kind of urban terrorists, believing that the United States, strangely, was in a revolutionary situation. George Wallace was running very successfully as a third-party candidate. Not with dog whistles and subtle signals, but as someone who had been a segregationist. He had done his best to block desegregation in Alabama. I thought he was a pretty scary guy. And I thought that was a much more divided and angry time than this, and I think there is something about, you know, there are, it’s fascinating to see a mobilization, and sometimes people in authority want to look for the leader, or the people at it, and of course the fact is there is no leader. There is an actual movement that’s growing up from the grassroots, and I think that’s reminiscent. – Robert, we have a question from a member of our studio audience. Please describe your prep for a five-day-per-week program. Did it every get routine or boring? -It would probably be wrong to say, absolutely that I was never bored preparing, but the great thing about the job was that for the most part, each week was new in some way, and there’d be reading to do, and there’d be, or a book to finish, or music to listen to, or a film to watch, people to talk to, that were new for me, and I remembered recently that when I had entered graduate school in journalism, David Halberstam, who was really a great, great reporter of his day, came and spoke to us as a very informal keynote address. I think he did it in conversation with our professor, like this, and he said a great thing that I’ve remembered all these years. He had recently been to his, I guess 10th Harvard reunion or something like that, and he’d been reporting on civil rights in the South, and Vietnam, and he learned first of all that he’d made less money than anybody else, he thought, in his class. But then he said he also learned that his classmates kept on talking about this great time when they’d been at the university and when they’d been learning, and that they’d had so many new experiences, and Halberstam said, “You know, “I realized that as a journalist, “I didn’t think that my education “was something that happened. “It had gone on forever.” And he’d learned more in Nashville, I think, working for United Press International, than he had before in college. And journalism, he said, if you stick to this, you’ll always be learning something. And I felt that my education has gone on for decades. – Let me ask you this, Robert. Once in awhile, we’d hear you chuckle or laugh on All Things Considered. – [Robert] Oh yes, yes. – And it was always a lovely moment. Can you recall the interview that made you laugh hardest? – I once had an interview which people at NPR loved to play the original, uncut version for visitors, with Mel Brooks. And I was a huge Mel Brooks fan. I could recite his 2,000 year old man album routines at great length, and all that, and Brooks had produced, he put The Producers on Broadway. It had been a movie. Now it was on Broadway. And he had written songs for it, and we had this offer that Brooks would be interested in being interviewed to talk about the songs, so I did read up on Mel Brooks, and I was sure that I was familiar with his story, and I asked him about the music, and barely was a sentence, question out of my mouth that he says, “Siegel,” he says, “just play the music. “Can you just play the music?” And I said, “Well, we’ll get to that “in a second, Mr. Brooks, but you know…” And he said, “No, just play the music. “Just play the music.” And we went back and forth like this for several minutes. I’m totally out of control of this interview that’s happening. I can’t get this guy to listen, and finally he says to me, “What time does this show go on the air again?” I said, “Four o’clock.” “Okay,” he said, “I figure by that time, “when you put this on the air, “the jurors for the Tony Awards, “should be just about waking up “from the cosmopolitan stupor “of the last night’s drunk. “They will hear the music, “and they will vote me a Tony. “So just play the music.” And we had a very conversation thereafter, and the, whatever it was, seven or eight minutes that went on the air was representative of the longer experience. Completely frustrating, and then he sent me a lovely poster saying, “Dear Robert, sorry about ‘Siegel’! “Mel Brooks.” And he did win the Tony, of course. – That’s a lovely story. We have more questions from our studio audience. Here’s one. If you were still on the air, who would you most like to interview? – What would you ask him? – I’d like to ask him about regrets. And about the perception, what he makes of the impermanence of what seemed to have been pretty big achievements, when he came by them. They can be torn down in a couple of years. I’d like to hear about the decision, I mean I remember being in background lunches with him a couple of times when he talked about these decisions as they were being made, but I still wonder about the decision to go all out for healthcare reform when he did. Should he have done something more about people’s housing dilemmas at that moment? Would the Democratic Congress have handled more than one huge bill? Was it worth it trying to win over a couple of Republican Senate votes in all that time when they just weren’t gonna be there? And there are several things like that. And how much did he regard race as a factor in his relationship with the American people and with Congress? I think that that’s a very, it’s a very touchy subject that when he was in office I’m not sure he was entirely, I don’t think he felt he wanted to be candid about it. So anyway, that’s one. I’d also, there’s a wonderful historian, Simon Schama, who I’ve interviewed a couple of times, who I finally finished the 800-page Volume Two of his Story of the Jews. He was writing a history of the Jewish people, which I enjoyed tremendously. And I always liked interviewing Simon, and would wanna do that again. A fine historian. But usually the most successful interviews, the ones that are most gratifying, I found, were with the writers and the artists. They were more, and the very old people, who had no reason to lie anymore. And were just very straight. – So Robert, how do you stay politically neutral? Is it possible for any journalist to be completely neutral? – No, I don’t think it’s possible for anyone to be completely neutral. I just think that when you do your job, you’re not just talking at home at that moment. This is a problem I have with the way a lot of news is discussed today mostly on television, where there’s a constant free flow conversation, and everybody’s putting in their two cents. This is a profession. I mean, it’s not historically recognized as one, but I think it should be seen as one, and when we sit down to talk with people about politics, we don’t just vent our personal feelings and preferences, but we ask the questions that we think a listener who thinks this would ask, and a listener who thinks that would ask. And we stay careful. To me, that reinforces our ability to call things out plainly when they’re not true, for example, because we’re not doing this as a matter of expressing my political ideas, which may strike some people as really weird if I were to go into them at some length, so I think the deal is you suit up for the job, and when you’re on the air, you’re not, you’re not the same person you are when you have your own opinions. I don’t vote in any primaries or anything like that. I don’t think it’s right for me to be part of one party or the other. Some people say you shouldn’t vote at all if you’re a journalist. I vote. I do that. And I think we all should vote. – As a program director, I see a lot of audience, listener feedback, and I’ve seen a spike in the number of comments accusing NPR of bias. Now, for the longest time, the accusation tended to be liberal bias, but in the 2016 campaign, the accusations of conservative bias outnumbered those, so what do you say about NPR and bias? – Well, first of all, there’s a difference between bias and getting things wrong. I mean, I think that when, as I say, in the idea, was Trump a serious candidate for the Republican nomination? Should we be taking him more seriously? I don’t think, you can say that there was a bias based on experience against doing it, but it wasn’t a matter of let’s stop this guy from getting the Republican nomination. It was, I think this Marco Rubio really is the future of, the serious people here are the Christies and the Rubios and the Bushes. That’s a bad judgment, not a bias. The complaint in 2016, that I think you’re mentioning, largely came from Bernie Sanders people, if not Edith Stein people who felt that we had underrepresented them on the air, and I think we probably covered the Sanders primary campaign too little, is my guess, and we did try to interview him all the time, and there was no shortage of approaches to get him on the air, and perhaps there was at some level a suspicion that this was, that the likelihood of Hillary Clinton’s presidency was so great that the opposition to it was not as serious as indeed it may have been. That’s bad judgment. It wasn’t, I don’t think it was out of a great fondness for, or approval of Hillary Clinton. I just think it may have been a poor judgment. – Robert, I’ve heard you say that when you arrived at NPR in 1976, the atmosphere was one, a very energetic one, very creative people, and people were very idealistic. Would you say that these values, qualities still define NPR today? – In some ways yes, in some ways no. We were, we had gone to work at NPR, my cohort there, instead of being at a place that we’d grown up listening to or watching. This was not the place, this was not what our parents had listened to when we were young. This was not CBS. It wasn’t NBC. It wasn’t the New York Times. And we were pioneering this thing. We were making it up as we went along. One of the stranger changes over 41 years that I spent at NPR was to start hiring generations of young people who had grown up listening to us. And to therefore assume that we knew what we were doing. Very rash assumption. And had assumed that there was some great weight of tradition and reason behind what in many cases were just things that are developed accidentally over the years, the way we would do things, so I think at one point it became a challenge to tell our young people, it’s your thing. You should create something here. Also, we got bigger and bigger, so we developed a problem of infantilizing young people, young employees. That is, when I came in to NPR, I was 30. And I was, well there were a lot of people that were just about 30, though I had enormous experience. Within 15 years, we were hiring people first of all who came to us with academic qualifications that were beyond anything that the originals had offered. I couldn’t get in the door to this network within 20 years, and they were very sharp, but we were so big now, and so much more complex, that they could spend three years in jobs that I would have felt would really be really boring after six months. And that was a very different and much more corporate model of how you go to work. You know, you spend, you go to the mail room, and you do scut work for a few years. So, I think that the problem we faced for many years was taking terrifically smart young people and having them do jobs that really didn’t lend themselves toward individual, good reporting or journalism, or creative production, and their classmates were editing magazines, and they’re helping Linda Werthheimer assemble a piece that is really Linda Werthheimer’s, that sort of thing. And that was a problem, and I think now, in part through encouraging lots of new, little program proposals, in part getting our operations out of Washington. The New York bureau. Some people think that’s more of a cliche, but actually it’s an independent place where you’re not walking around in the shadow of the big programs every day, having more stuff done out of California and of Culver City, and having a lot of these podcast projects that are forever being proposed, has given vent to a lot more interesting young ideas than say 10, 15 years ago. – [Gillian] Yes you did. – It was a very, very good story, yeah. – But they’re being authentic. That’s how they’ve spoken their whole lives. Do you think that that is something that should be corrected? Or should they still be authentic? – As a matter of fact, we did get a question from a member of our studio audience saying, “There seems to be a more chatty style,” and whether this might attract a new generation of listeners, but how else do you see the NPR news style changing? – Well I think the listener is on to something, which is that right now, there is tremendous emphasis on conversation as a way of conveying information. A reporter sits down and talks with the host, often being asked questions that the host has been asked to please ask the reporters. These are not the most spontaneous exchanges in the world, but they’re conversational. And I happen to be a devote of more produced radio, and a reporter addressing me as the listener more. I don’t enjoy so much the idea that I’m eavesdropping on an exchange between a reporter and a host, especially when it’s a rather choreographed exchange. But I think the emphasis is very much on conversation, and what I find is that in these conversations, sometimes the questions are a little bit loaded with too many assumptions for my taste. Sometimes the answers are, they’re conversational. They’re real, but they’re lacking in the well-wrought phrase, the memorable comment that I’ll still remember, whereas I think when people write stories and they actually try to craft a lead and be a little less authentic in the way they’re gonna talk to the audience, a little bit more stylized, I think that sometimes very memorable pieces of radio are crafted in those moments. Interesting use of English is achieved. So yes, there is a great emphasis, not just at NPR, broadly throughout broadcast journalism on conversation, and it’s an emphasis that I get, but I would like to hear a little bit more balance toward the journalist who addresses me directly, and maybe uses sound and recordings of other people in that form. – Speaking of spontaneous conversation, what do you do when someone, say a politician, comes to an interview armed with their publicist-approved talking points? How do you peel back that veneer to get them to speak off script, and perhaps, hopefully, more authentically? – I think you fail, is what you do. Most of the time in my experience, is what happens, and the proof of that is you can listen to the news maker, senator interview that you might here on our program, and then watch that person appear on weekend TV news maker shows, or on cable news shows, and you’ll hear remarkably the same interview taking place, because the politician is very well briefed and skilled, and you can try asking the different question over and over and over again, but politicians have learned that you can actually not answer the question at all, and time is precious. If it’s live, it’s very precious. If it’s, I had an interesting experience years ago with Senator Robert Dole, Bob Dole, who was then the Republican leader in the Senate, and I think the question was whether he would filibuster against Hillary Clinton’s health care bill, the Clinton health care bill. She had been given the job of crafting it, and it was a recorded interview. It wasn’t live, and a lot of these news maker interviews are live, but I had the luxury of time in this, and I did that thing that reporters do, which I asked the same question about six times in a row, phrased slightly differently, about whether there’d be a filibuster, and he finally exploded at me. And completely lost it, and talked about how he hadn’t decided, and when he did, he wouldn’t tell a crazy news organization like National Public Radio, and starts going nuts, and came out of the studio and of course my producer was ecstatic. “That was fantastic!” And we had Senator Bob Dole just totally going off, and I said, look, let’s use, definitely we’ll use it, but let’s do this. Let’s have at least two of my nudging him, and being a pain, questions, so that you can understand what’s preceding his losing it. We could have cut the interview in such a way that I would say, good afternoon, Senator, and he would start screaming at me. And you just can’t do that. So there was a moment of authenticity, with a senator. Not much gained. They’re the most unsatisfying interviews, I think, that I get to do, because very often, I’ll map them out. I’ll say, okay, if I ask A, and he says this, so what do I answer? If he says that, what do… And very often I can just map the entire interview before we do it, or I could, I mean I could do this. And presidents of course, I’ve only done a few of those, but they’ve been interviewed more often than I’ve interviewed people. I may have interviewed thousands of people. They’ve been interviewed thousands of times, and very skilled at avoiding answers. – I think the press has a role in maintaining a level of civil discourse. That, it really is not conducive to a peaceful, democratic life for everybody to be calling everyone a fake or a liar, an idiot, this weak person, this small person, or whatever. This is not the way adults in a democracy should be talking about one another. However, we shouldn’t even aspire to a national situation without divisions. This is real life. This is why we have politics. To reconcile our differences. They don’t go away. We try to find ways of either figuring out which side wins the day, or how they compromise to get to another stage, but divisions are part of national life. This is what happens. We have different regions. We have different economic interests. We have a very diverse population, with people who bring different experiences of such basic things as what it means when you see a cop on your block. Is that a reassuring, positive thing? Is it a menacing thing? That can be a difference. So, I don’t like it when people describe political divisions as something that, how do we do away with them? That’s unreal to me. I think that that’s true of media as well. I was remarking to a friend who’s read a lot more in American history than I have that we really miss the days of my young adulthood or my adolescence when the country really had two big national nightly news shows on television, CBS, Cronkite show, the Huntley and Brinkley on NBC. And each one, as I think David Halberstam said in the very interview, the very presentation that I mentioned to you, each one gave the country a pretty good national front page, in places where there wasn’t a good newspaper, where there weren’t a lot of resources, everyone could tune in, and the ten stories or so that you would see on that show would give you a pretty common view of, here are big things happening in the world and the country. And so there was a good deal of consensus about what the news was, and about what we watched. My friend, who as I say is a smart reader of American history, pointed out to me that that was really the exceptional time. That the rule is much more that our media are deeply divided. People read partisan newspapers, in the old days. They listen to partisan broadcasts. The William Randolph Hearst is as influential as a newspaper owner at the beginning of the last century as Joseph Pulitzer was. And they are very different kinds of journalists, so we have to somehow reach a discussion of our national civic life where we admit that we don’t all agree. We have some pretty profound differences about things. On the other hand, most of life is not about these points of disagreement. We get along. We go to work, we do business. We raise our children, and the notion is addressing our differences in some civil, stable, democratic system, rather than hoping they’ll go away. – See, Robert, these days with social media platforms, we can select which news sources we want to follow, and tune out the rest, and more and more Americans seem to be doing that, turning to news sources they trust, whether that’s NPR or Breitbart, and then they’re tuning out the rest. What’s the effect of this self filtering? Are we at risk of losing perspective? – Well, I guess it deepens political divisions. I suppose, I mean media self segregation deepens political self segregation, so I guess that’s a problem. I think that it’s important, though, I mean this is why it’s a healthy thing for people in news organizations to aspire to have bigger audience, or more circulation, whatever it might be, more clicks, because as news organizations reach out to more people, they find a larger base that’s open to perhaps a more straightforward, not politically motivated, agenda of the news. And I think I could, I mean I could spend a long time picking at my beloved NPR and what it hasn’t gotten quite right, but I’m very proud of the job that it does in being available to people who are curious about the news, and not advancing one particular cause or the other. I think ultimately, this is a question of, do we thrive in the marketplace of ideas? There’s gotta be some value attached to being predictable. If the New York Times is attacked for fake news, when they say, Donald Trump’s legal team is about to be shuffled, and they denounce the paper as being crazy and biased, and then two weeks later Donald Trump’s legal team is shuffled, you can add two and two and say, well, maybe I should trust what they say in this paper, as opposed to the denunciations of what they’re saying. If the Washington Post says, they’re gonna get rid of McMaster, the national security advisor, and that’s denounced as totally nuts. He’s totally on the same page as the president, and if the White House says that, and then he’s canned a few days later, we can draw some inferences from that, and if you can’t draw those inferences from, as you say, Breitbart or whoever it might be, then we hope that there still functions some marketplace of ideas where the bad stories fail. – Well, it used to be that fake news meant something that was fabricated, or demonstrably untrue. But Donald Trump has now used that term in the sense of, anything that’s not sympathetic to him. And it is in that sense that leaders of several countries, the Philippines, Syria, Poland, they’ve used that epithet, fake news, just like that, and have used it to silence and even to jail some journalists. Where do you see this trend going? – I think that overseas, in many countries, that the fact that the United States is, seems to be, under Donald Trump, much more comfortable with authoritarian governments, so long as they’re friendly to us in some way, than past presidents, is not a great sign. I mean, I think that it lightens the pressure on those countries to treat their people better. So you’re absolutely right. I heard Jake Tapper of CNN talking about this, that they had stunning footage of what amounted to a slave market in Libya, and when the local Libyan authorities wanted to rebut this charge, they called it fake news. They used the vocabulary of President Trump, and I think that it is dangerous that the president is giving permission to people in other countries, where the institutions of the media, and of legislature, and political freedoms and journalistic freedoms may not be nearly so strong and well developed as they are here, it may sound like the U.S. will not be concerned if you jail a few more journalists, calling it fake news that they write, or you shut down a paper here or there, or a station, so that gives me a pause, and I think that, I don’t think that the president, frankly, is quite sensitive to the impact of what he does, not just in this country, where he may believe that some of the news organizations he’s calling out as fake are really quite strong, and that he’s picked on the big boys. I don’t know if he quite gets it that in other countries, people here the American president say such things, and it affects them in odd ways. – Well, Robert, what are you proudest of having accomplished at NPR? – I’m proud to have been part of that institution. Broadcast journalism is a team sport. And when I listen to it, a network that I said, we had about 10 reporters when I went there, one of them in New York and the others in Washington. By 9/11, we had 18 foreign correspondents, and we actually had exceeded what the big networks had, so we’ve grown into a serious, important big news organization that people expect big things of, and first I’m very proud to have been a part of that. I was very proud of a number of stories I did throughout the 90s and the oughts about criminal justice, and about things like parole, or trying a juvenile as an adult. Private prisons, all kinds of stories that I thought helped to explain pretty complicated, conflicted situations to people, and I think ultimately what I really, the main thing that I was talking about all those years was the end of the Cold War, from my going to Poland in ’81 for a couple of trips, and ultimately being there when the Berlin Wall had just come down, and watching the sense of triumph and then of great disappointment as a post Cold War order took place, or as we have yet to find a real post Cold War order, may be more accurate. So, I’m proud of my work in those. And I’m proud of having done the Mel Brooks interviews, too, the stuff that was really fun. – That’s really wonderful. Can we expect to hear you on the air again, or perhaps in a podcast? -I don’t know. I don’t, I didn’t leave hosting All Things Considered with some great empty feeling that I hadn’t gotten to do stuff, and I also am, we had originally decided that I would retire at the end of June of 2016. It was three years earlier, we had decided that, I and the vice presidents and the like. And then Audie Cornish came to me and asked me what it would take for me to stay on a big longer, and I said I thought about that, and it would take probably a special need of you or Ari to have a long personal leave, something like that, and she said, I’m pregnant. So in a way, the last six months of my hosting felt all like I was in overtime. I was already, I’d finished this mentally in June of 2016, and now I was getting a little extra in, so I have no idea whether I’ll do a podcast or not, and I’m very happy to see that some terrifically able and energetic and talented and younger people are doing what I was doing. – Well, Robert Siegel, thank you so much for giving us your insights into journalism, and for all you’ve done for NPR and for public radio, and congratulations on your lifetime achievement award from the Edward R. Murrow College of Communications. – Gillian, thank you very much. It’s really been a pleasure. Thanks. Thank you.